On a particularly cold, dark and rainy day at Anderson Athletic center, the Swim and Dive team shined bright as the Cal Poly Men’s Swim and Dive team took a 164.5-129.5 win over UC Santa Barbara Saturday, Feb 2. 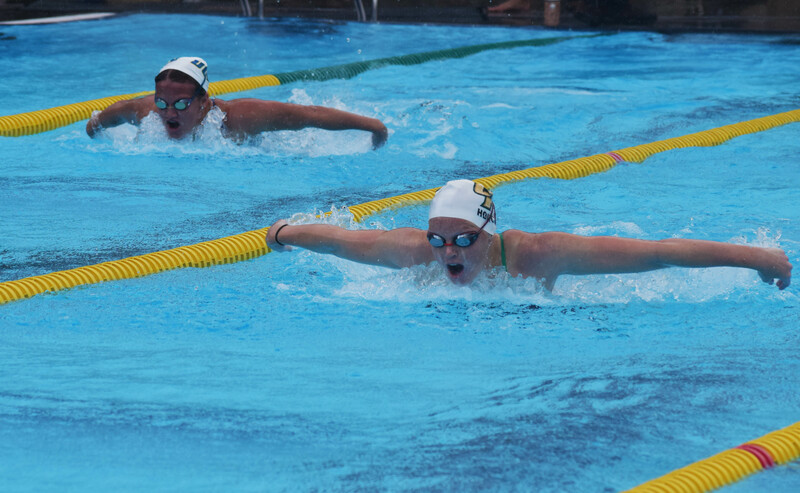 In Cal Poly’s first win over the Gauchos in a head-to-head meet since 2015, the Mustangs took 6 of their combined events, and several swimmers took home multiple individual event victories. Junior Paul Rodgers had a big day in the long distance events, winning both the 1,000 yards freestyle and 500 yards freestyle. Rodgers put up season best times for both events. Senior Zach Allen won the 50 freestyle and the 100 butterfly. Allen finished the 100 yards butterfly with a time of 48.40, 2 seconds faster than the next closest time. Sophomore Mihhail Amiorkov was the third Mustang to win multiple events, taking home the 400 individual medley as well as the 200 fly. Senior Dominic Dalpiaz also had a key win in the 200 free. This was the second time this year Amiorkov and Allen won multiple events in a single head-to-head meet. The women’s team did not have the same success the men’s team did. The team had several big event wins, as junior Amelia Feick won the 200 breaststroke, junior Meghan Rainier won the 500 free and Junior Ali Epple won the 400 individual medley. The Mustangs ultimately fell short by a nine point difference, at 151-142. In the Dive section, sophomore Noah Mckinley won the 1-meter dive and junior Riley Saufley secured a victory in the 3-meter dive for the men’s team. For the women’s team, freshman Molly Wilson was the only Mustang to win any events, winning both the 1-meter and 3-meter dive. With this meet concluding the regular season the swim and dive team will now be preparing for the Mountain Pacific Sports Federation Championships Feb. 20-23 at the La Mirada Swim Center and the Marguerite Dive Complex.